Latest News: Online Applications for the post of RRB NTPC Ministerial & Isolated Category has been extended to 22nd April 2019. RRB Online Application 2019 filling procedure given here. Railway Recruitment Board will release a recruitment notification to fill NTPC jobs 2019. According to the RRB Official Advertisement 2019, it will fill 35,227 Non-Technical Railway Jobs in India. The Announcement will be an excellent opportunity to the candidates who are dreaming of being part of Government Jobs in India. How to Apply for Railway Recruitment Board NTPC 2019 – 2020? Here, we provide complete details about Indian Railway NTPC Application process 2019. We presented all steps of RRB NTPC online application for RRB Non-Technical Recruitment with the screenshots. We also provided the RRB online application required Documents lists on this page. You can also download RRB NTPC Syllabus & Railways Non-Technical Previous Papers, admit card on this website. By this information, you can have the timetable to prepare for Railways Recruitment exam. So, You should need proper preparation to get a job in Indian railways. We provide all necessary details for RRB exams preparation. Follow our website to get latest updates regarding RRB Recruitment 2019. 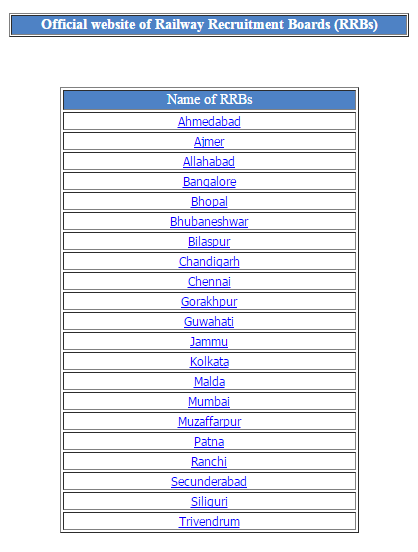 Choose Required RRB Board region. (Example: If you belong to Secunderabad region then choose RRB Secunderabad). There are 21 Railway Boards in India. Those details are given with listed official websites below. Then the RRB NTPC Online Application link will be opened on the screen. There are four stages to complete RRB Online application. First Stage for New registration. The second stage for Candidate Login. Third stage for Payment of RRB Application fee online. In the Fourth stage, candidates have to Upload photograph & Community certificate for SC & ST scanned copies. The Last step will be the completion of RRB Online 2019 Non-Technical jobs application. Candidates can check the below sections for the information such as Required documents list for filling Indian Railway NTPC Application Form, Step by step process, important dates of RRB NTPC Application form. Ex-service Man Details if required. Then the following page will be displayed on the screen. Click on the required RRB Board. Then the official website of selected Railways Board will be displayed. Now Search RRB NTPC Online Application. Then Railways RRB online application page of the selected board will be displayed on the screen. Click on New Registration which appears as shown below. Now select the appropriate board which you want to apply. Then the following window will be displayed on your screen. Fill the declaration and click on accept. 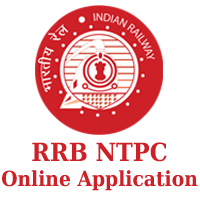 Now fill required details of RRB NTPC online Application 2019. The Following stage will be Activation. Now a system generated mail will be sent to your registered email. Verify by opening mail and click on given link. So, the First stage of Railways online application 2019 activation completed. Then User id and password have sent to your mail along with the activation link. The following are the details have to fill on RRB Registration Online application second stage. Enter the Registration number and password (which sent to your registered email or phone number). The third stage of Indian Railways Online application 2019 process is Fee payment for NTPC jobs in Indian Railways. No fee for reserved and women category. Go for Make payment option. Pay the application fee through Debit Cards, Net banking. For offline fee payment follow below steps. Work candidates can download the Bank Challan pre-filled with their specific details and make the payment in any branch of SBI and associate banks. After making the payment, the aspirants must again login through the Candidate Login menu to proceed with the registration. The final stage of RRB online application process is the fourth step of registration. Upload Photograph in this Fourth step of the online application. 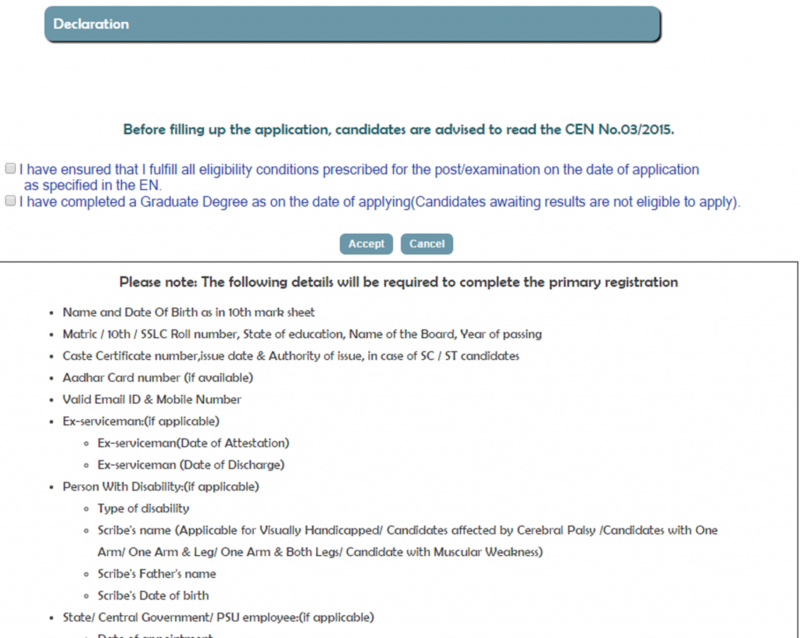 The SC/ ST candidates have to upload the caste certificate scanned copy in JPG/ JPEG format. PWD eligible aspirants have to upload the scanned photograph of the scribe in JPG/ JPEG format. The size 3.5 cm x 3.5 cm, file size between 15 KB and 40 KB. The Job aspirants have to upload their scanned photograph of in JPG/ JPEG format, size 3.5 cm x 3.5 cm, file size between 15 KB and 40 KB. Preview of the uploaded photo is displayed. Now Submit it if the Photo preview is clear. Otherwise, repeat the process using a fresh photo. Finally, by this RRB NTPC Online Application Filling procedure completed. Note: After the final submission, Candidates should take Printouts of the filled RRB application form for reference. The application printout needs NOT sent to the Railway Recruitment Board. in which date we start apply? ?please reply sir. sir, i am still studying B.E Mecanical engineering. i am intersted in RRB oriented jobs. so what kind of material for studying in RRB exams. please give some ebook link………. sir iam completed degree [b.com(computers)] in 2017. iam intresed to any job for rrb. yes vani you can apply for NTPC jobs in indian railways. sir iam completed inter iam intrested to the rrb jobs.